Today, I was tried three French cheeses that were new to me. I must say that they were absolutely delicious and confirms that the French are undoubtedly the greatest cheese makers in the world. Pont-L’Evêque is a small square-shaped flavourful cheese of a pale yellow color and with a white-orange rind. It was very creamy, but not too strong. This cheese is made on small farms, using rich salty and almost pasteurized cow’s milk. The cheese takes the name of the village in Normandy where it is mainly produced. With its washed rind, Pont-L’Evêque may be the oldest cheese variety from Normandy that is still produced today. In the past the cheese went by different names, including Angelot and Augelot. Fromager D’Affinos, produced by the Fromagerie Guilloteau company, is a double-cream soft cheese made from cow’s milk. It is similar to Brie in production, appearance and flavour. The company is located in the Pilat Regional Nature Park in the Rhône-Alpes region and has a reputation for its culinary expertise. Saint Agur is a medium strong creamy blue cheese from Auvergne which is made from cow’s milk. The cheese is rather similar to Roquefort and has a very strong and spicy taste when it is ripe. Of the three, I liked Saint Agur best as it was stronger, more complex than the other two, but really smooth. Saint Agur will now be one of the cheeses that will feature in our weekly cheese nights. Where are these Gourmet French Cheeses Produced? Having looked up the three cheeses above, I couldn’t stop as I now have a need to know where some other favourites come from as well. 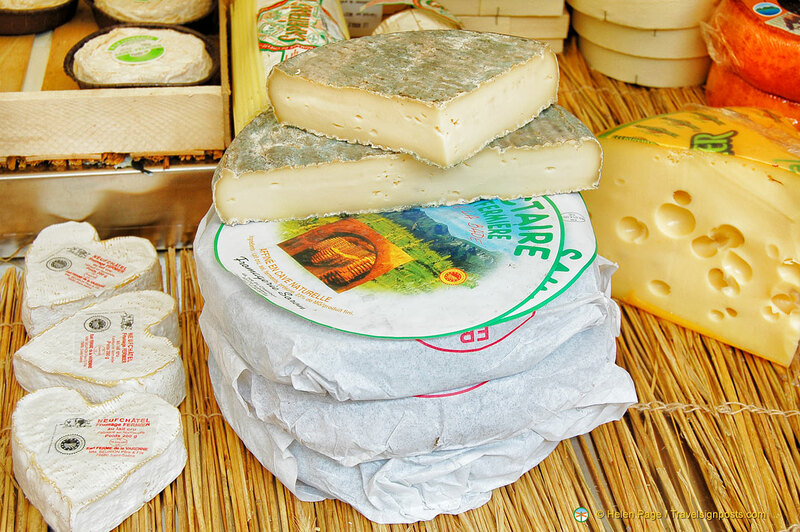 Roquefort – A huge favourite of mine comes from Midi-Pyrenees. A true blue Roquefort comes only from the Rouergue and is aged in the caves of Cambalou. Roquefort has been described as the king of blue cheeses and I’m inclined to go with that. 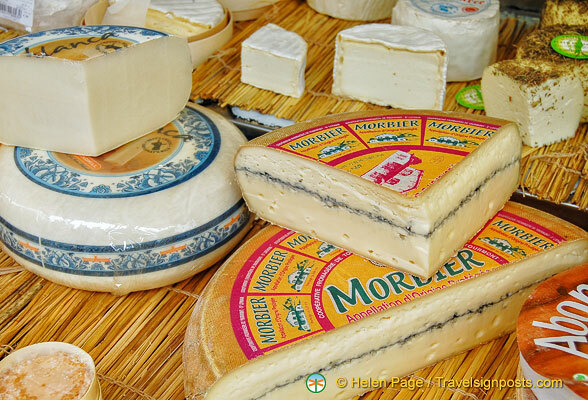 Mobier AOC – This cheese is easily recognizable by the horizontal stripes (made from plant coal), through the cheese. Morbier recently became the 38th member of the AOC family. The mountain cheese from the region Franche-Comté had to wait for ten years for this moment. To meet the strict demands of the controlled origin term AOC, the national institute for controlled origin (INAO) needed the time to check if the cheese was able to meet its standards. I haven’t had this one for a while so it’s worthwhile giving it a try again. Délice de Bourgogne – I could eat this forever! Soft and creamy and melts in the mouth. This triple cream specialilty comes from the Burgundy region. Rich in texture and taste, matured for 18 days, this cheese is related to Régal de Bourgogne. Epoisses de Bourgogne is produced on single farm in Bourgogne. Interestingly, each cheese is washed by hand, using a small brush to spread the bacteria over and into the rind. Finally, it is washed with marc de Bourgogne spirit. This cheese can be eaten at different stages of maturation and is best accompanied by a fine Burgundy or a spicy aromatic white wine. Saint-Marcellin is a farmhouse cheese made from the milk of cows that graze in the mountainous Dauphiné Province in southeastern France. These small rounds with natural rinds, turn from white to light brown as they age. Inside, the pâte is softer and mild, but rich. Well I must say I really enjoyed my cheese tasting and being a cheese taster certainly ranks very highly in occupations that I would love to have. Imagine travelling all around France and other countries and doing cheese tastings and reviews. Never mind the calories, but oooh! a job made in heaven.